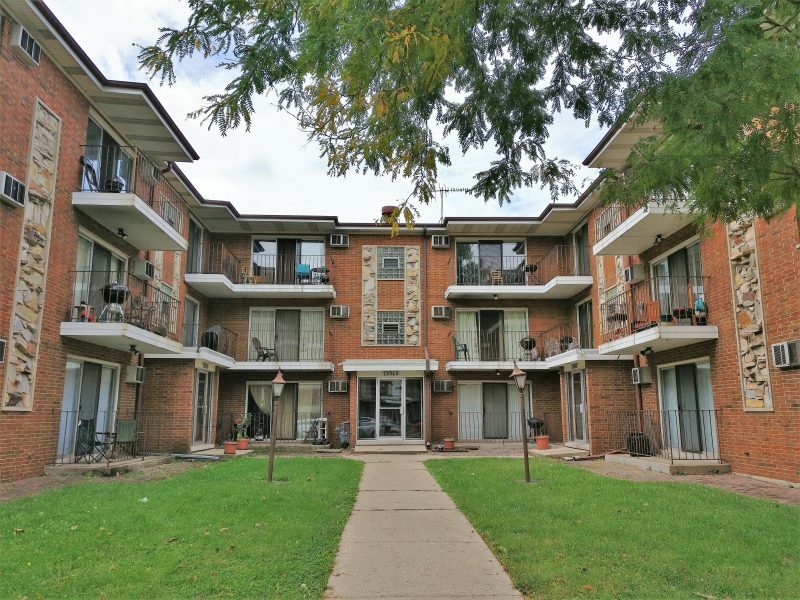 Fully Occupied well-maintained property with renovated Units with newer flooring, cabinetry & fixtures. Marcus & Millichap is pleased to present to market a fully occupied well-maintained three-story courtyard all brick flexicore construction 18-unit apartment building in Blue Island, Illinois. The unit mix consists of 12 two-bedroom / one-bathroom units and six one-bedroom / one-bathroom units. All units are above grade with patios or balconies, updated with durable wood grain laminate flooring, newer cabinetry and fixtures, radiant baseboard heating, wall-sleeve air conditioning units and ceiling fans in most rooms. There are three separate buildings, each with a secure front courtyard and rear parking lot entrance providing access to a secure lower level with storage for each apartment and three sets of owned coin-operated commercial washers and dryers. seconds from the Interstate 57 north-south freeway across the street from Centennial Park.